It wasn’t until I was feeding cold butter through my fingertips to make the crumble to top this pie that I realised how truly wintery a green apple could be. 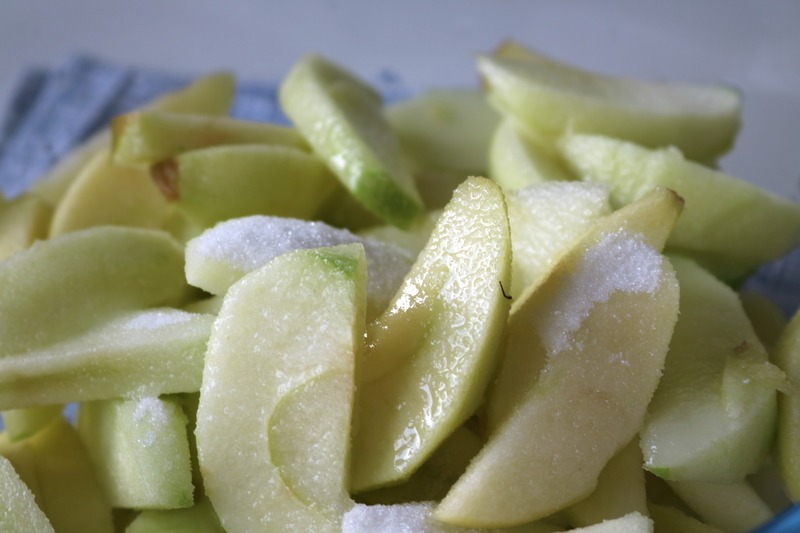 In the corner of the worksurface where I stood, a pile of granny smiths and braeburns were peeled and sliced, a pool of syrupy sugar and lemon juice collecting at the bottom of the bowl. The kitchen smelled fresh and crisp, just like the sharp but blue-skied Saturday morning that was developing outside, the one I had walked through just an hour earlier. It wasn’t just cups of coffee keeping me awake after an early morning at the ice rink, it was the blossoming blue sky, the chill in the air and the crisp citrussy apples in the kitchen. It seems apt that an apple pie is the first recipe that I’ve posted here since the new year began. I’ve slowly unravelled from holiday mode, that dreamlike state of pajamas, constant central heating, twinkling lights and just one more glass of prosecco. 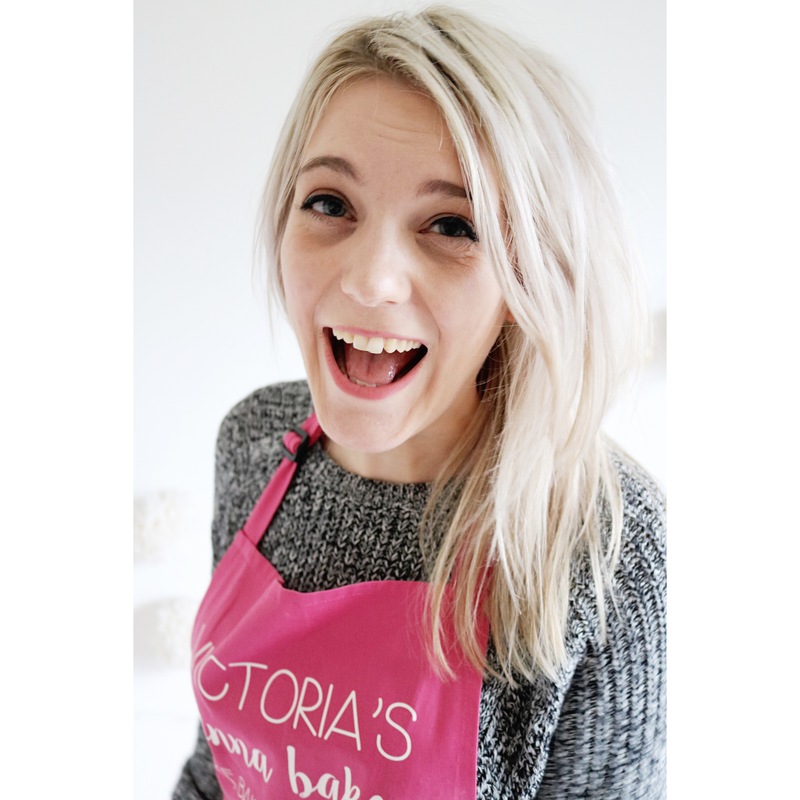 The year finally feels new to me now, and so it’s back to the kitchen to start thinking about what I intend to bake not only to keep learning and growing in my abilities, but to elicit a smile with quirky cookies, cakes and pies. I’ve also purchased a new camera, so bear with me whilst I figure out this new contraption. My blogging style may change as a result over the coming year, but that’s what makes new year’s exciting and scary at the same time – the unknown of it all. Bizarrely, I can’t ever recall baking an apple pie; my strengths normally lie in the lemon meringue variety. But I couldn’t shake the notion of something topped with an almondy crumble and so a mixture of mellow and sweet braeburns, barely blushed and neon green granny smiths were chopped in the silence of this wintery Saturday morning, save for noise of me scrambling around the cupboards for an alternative to a pie tin. I like that this pie is almost savoury thanks to the maple infused bourbon (just good old Jim Beam) which helps the apples bake into a syrupy pool like a soft caramel but with a good kick of a nip or two. 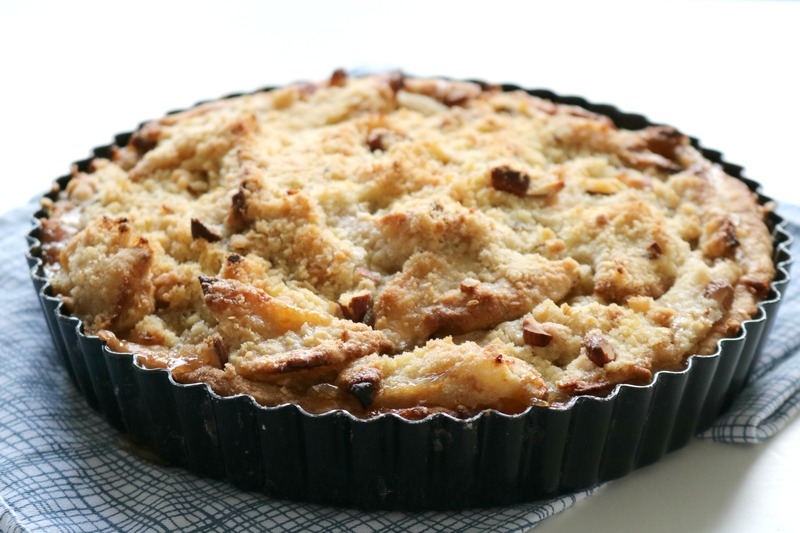 The buttermilk crust is flaky and the perfect cocoon for the apples to cook in, topped with a crunchy almond crumble. The only issue is waiting for the juices to settle before slicing but then a good inhale of that cool winter air and a stomp around the park is enough to work up an apple pie appetite. To make the pastry, put the flour, sugar and salt in a bowl and mix together before adding the butter. Using your fingertips, break down the butter into chunks, as though you were making shortcrust pastry. Don’t rub in the butter too fine, you want the mix to be textured - some bits of butter rubbed in finely with other larger pea sized pieces. Once roughly combined, stir through the buttermilk or homemade buttermilk with a knife and bring together with your hands, adding a little flour if it feels too sticky. Wrap in clingfilm and place in the fridge to rest for at least one hour - I made mine the night before to save time, bringing the pastry out the fridge around 20 minutes before rolling out. 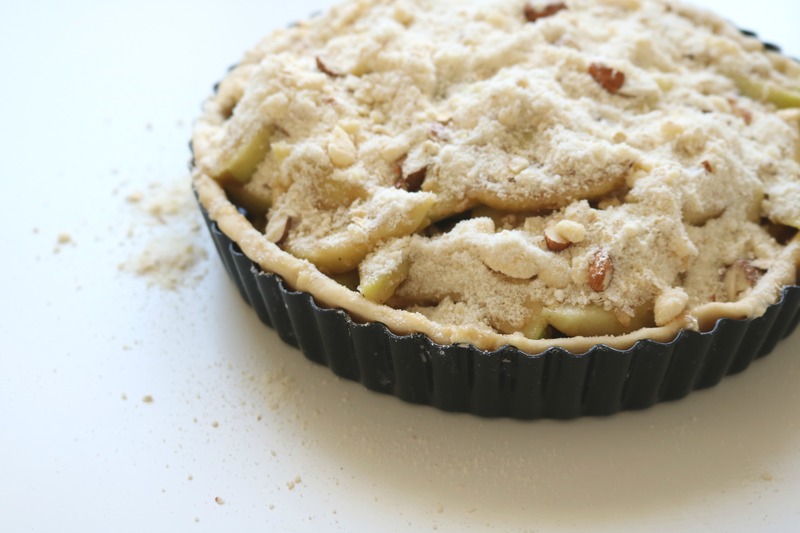 Once you are ready to make the pie, dust a clean work surface with flour and roll the pastry into a large circle slightly bigger than your pie tin. I used a 23cm tart tin and this worked fine. Once rolled, carefully lift the pastry into the tin and press down lightly into the corners. Fold the edges outward but inside the tin to create a rounded top, cutting off pieces and sticking them in patchy parts. The pie dough is pretty forgiving, so its good for patching any broken sides or cracks. Once happy, cover with clingfilm and place the pie in the fridge while you make the fillings. 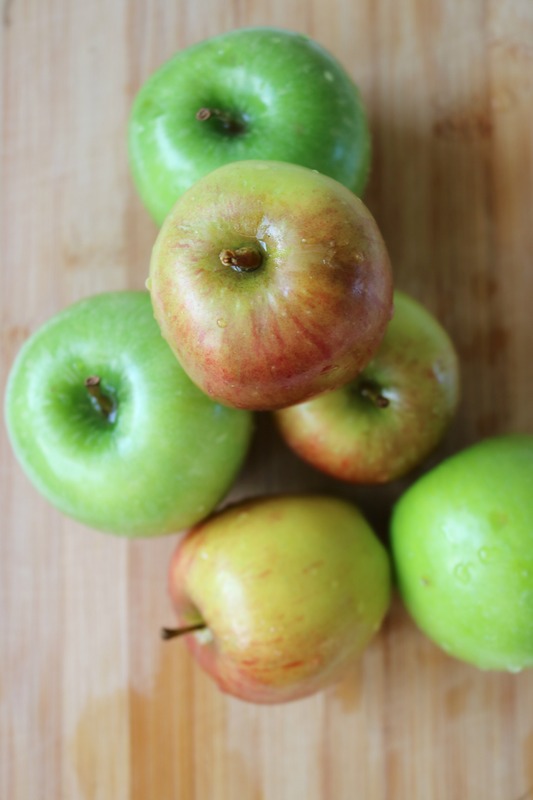 Peel the apples, core them, then slice fairly thinly and place into a bowl. Squeeze over the lemon juice and add the caster sugar, tossing to coat each slice. Leave to macerate for 20 minutes. To make the crumble, place the flour, oats, almonds and sugar into a bowl, mix briefly then add the butter. Rub the mic between your fingers to break down the butter until the mix resembles breadcrumbs. 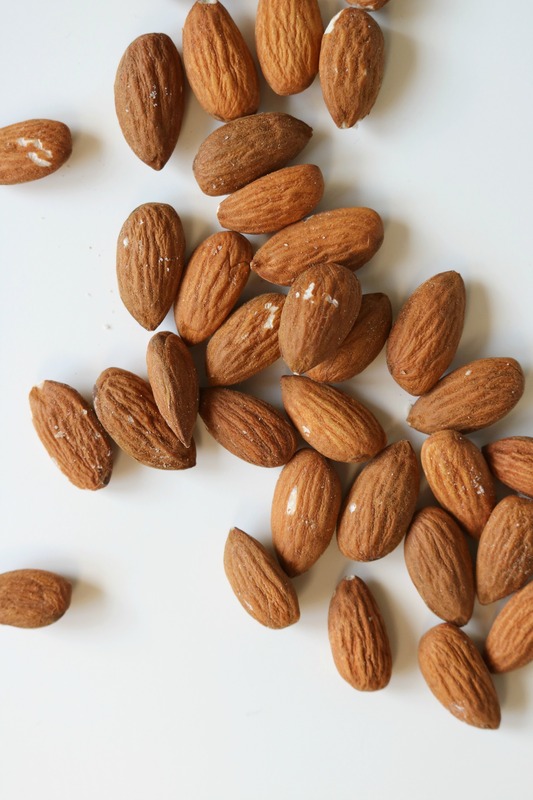 Stir through the chopped almonds. Once the apples have stood for 20 minutes, stir through the brown sugar, spices, salt, pepper and bourbon. Add a handful of the crumble to the mix to soak up the juices and stir again. Preheat the oven to 200oc/180oc fan and remove the pie case from the fridge. Remove the clingfilm and pour in the apples, taking care not to add too much of the liquid at the bottom as it could make the pie soggy - around 1 tbsp should be fine. 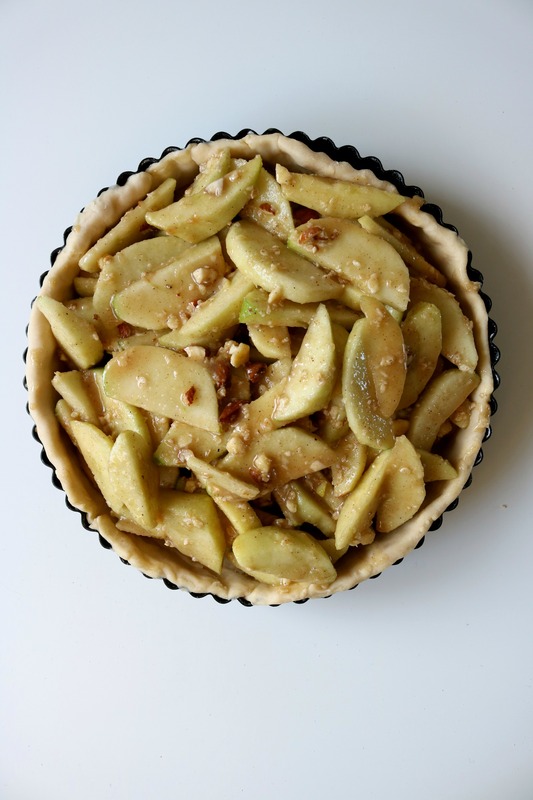 Sprinkle over the crumble mix, covering all of the apples and place the tin on a tray. Put the pie in the oven on the middle shelf and bake for 20 minutes, reducing the heat to 180oc/160oc fan for a further 45 minutes. Keep checking that the top isn't browning too quickly (cover with tin foil if it is) and bake until the apples are tender. This baking time will yield soft apples that still retain their texture but if you prefer soft, apple sauce-like apple bake for a little longer, using a knife to test how well cooked the apples are. Once you are happy, remove from the oven and leave to cool on the tray and in the tin for at least three hours to let the juices settle. Serve with ice cream for pudding or for breakfast with a mug of black coffee. Your photography is incredible! Really brings this delicious recipe to life!